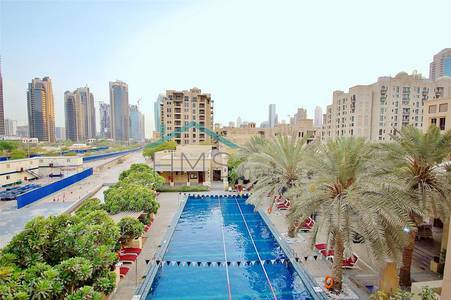 This exceptional 3 bedroom apartment with maids room is new to the market. As you enter the property you are greeted with the hallway leading to an extensive yet modern living and dining area with burj khalifa view. The property boasts 2024 Sq. Ft of indoor and 115. 00 Sq. Ft outdoor space with plenty cupboard and storage areas. You will find a fully fitted kitchen with state of the art appliances. All bedrooms have fitted wardrobes and ensuite bathrooms. Master bedroom has walk in closet and afive piece bathroom suite. The balcony has the popular downtown skyline and swimming pool views. The property has 2 allocated parking facilities. The Seller has no outstanding finance and has a title deed.